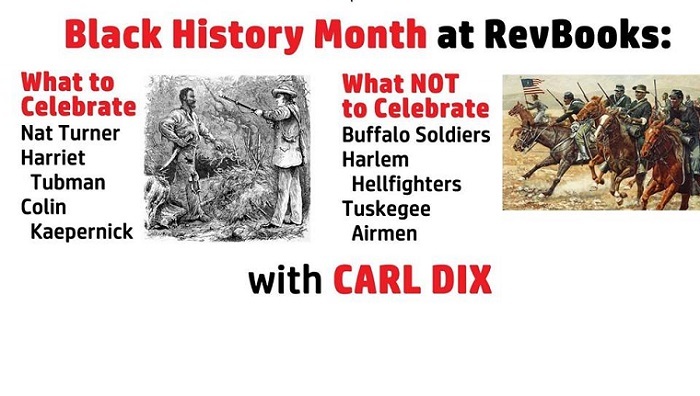 Carl Dix will lead a discussion of why we should celebrate those who fought for emancipation — NOT those who enlisted in or served the oppressor’s military of empire… and what this has to do with the liberation today of Black people and the emancipation of humanity. Carl Dix is a representative of the Revolutionary Communist Party. In 1970, he was one of six GIs who refused to ship out to Vietnam — the largest refusal of orders to Vietnam during that genocidal war.